SALT LAKE CITY – On May 13, 2016, the Obama Administration issued a “significant guidance” letter, also commonly known as a “Dear Colleague” letter. After multiple efforts to obtain clarification from the Departments of Justice and Education failed to receive a response, a coalition of states sued. The lawsuit argues that the “Dear Colleague” letter has constitutional and statutory flaws, including improper rulemaking and failure to provide clear notice, among others, and if the Administration is using the Dear Colleague as new law, then it is legally deficient. Every child is an individual. The recent “Dear Colleague” letter from the US Department of Justice and Department of Education attempts to apply a single solution to all individuals without regard for the input of parents, schools, and community leaders. The federal government’s ‘one size fits all’ mandate, disconnected from the needs of Utah schools, disrespects individuals and ignores the law. 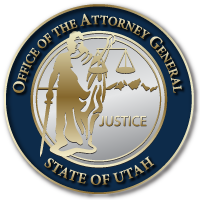 As such, Utah has joined an action with states across the country to clarify issues raised by the DOJ and DOE and to prevent the federal government from infringing on the role of states, local school districts or Congress. Multiple states in good faith sought clarification from the DOJ and DOE, but the silence from the federal government has resulted in an environment of confusion for educators and administrators. The lawsuit will identify whether states and local school boards remain free to find solutions on a case-by-case basis, suited to the needs of individual families. This case is not really about bathrooms, but about executive branch overreach. If the “Dear Colleague” letter was intended to mandate a new interpretation of the law, the lawsuit challenges that adaptation as legally improper. When a presidential administration wishes to change the law, it must do so appropriately. This Administration could have worked with Congress. It could have challenged the constitutionality of a state or local board policy. Or it could have taken proper steps under the Administrative Procedures Act to provide notice and solicit comment from the public, including states, school boards and families. Process has a purpose. This entry was posted in Archived Posts, Recent Posts and tagged Attorney General Sean Reyes, Dear Colleague, Department of Education, Department of Justice, Utah on December 18, 2018 .